A Portland, OR, couple claimed that their Alexa devices in their home recorded a private conversation between them and sent it to their friend in Seattle 176 miles away. Originally reported by KIRO-TV, the incident occurred about two weeks ago. The woman told KIRO-TV that the device had not audibly advised her that it was recording her conversation and sending it out. A couple in Portland, OR, claimed that a speaker in their home, powered by the Amazon Alexa smart voice assistant, recorded a private conversation and sent the recording to a friend. Originally reported by KIRO-TV ,the couple got a call two weeks ago from a random friend who told them to immediately unplug all their devices because the friend had heard their conversation in his home. The friend, who lives 176 miles away in Seattle, proved it was true by providing details on the conversation, according to the report. "Amazon takes privacy very seriously. We investigated what happened and determined this was an extremely rare occurrence. We are taking steps to avoid this from happening in the future," the company told KIRO-TV. Amazon did not immediately respond to a request for comment from Business Insider. "I felt invaded," the woman, named Danielle, told KIRO-TV. "A total privacy invasion. Immediately I said, 'I'm never plugging that device in again, because I can't trust it.'" It's not exactly clear at this point how this happened. However, Amazon has added voice-messaging features to the Alexa agent, making it possible to send recordings to other users. It's possible that the couple somehow invoked this feature unknowingly. After the friend sent the couple the recording, the two of them unplugged every Alexa device in their house. They said they have Alexa-powered devices wired everywhere to control everything from their security system to their lighting. Danielle also said the device had not advised her that it was sending out a recording of their conversation. She then proceeded to take the incident to Amazon, she said, calling repeatedly until she was able to get in touch with an engineer. He apologized profusely, thanked her for bringing it to the company's attention, but did not explain why the device sent the recording nor if it was a widespread issue, she said. 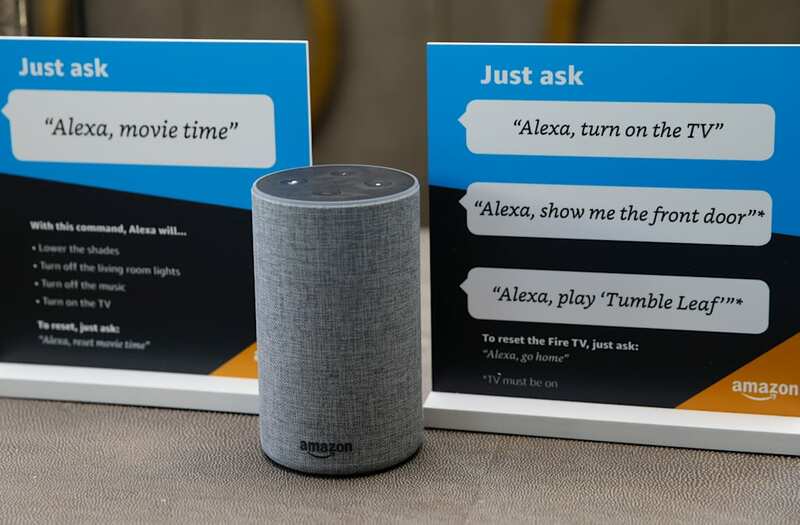 She also says that Amazon also offered to "de-provision" the Alexa-powered speakers, which basically means stripping the device's functions down to only smart home features. She claims that Amazon refused her request to refund her on all of her devices. This isn't the first time in recent memory that Alexa has come under scrutiny for unwanted behaviors: In March, Amazon had to adjust Alexa to not laugh unsettlingly at random.